I haven’t posted in TOO long! Here is a rooster painting, you enjoy! 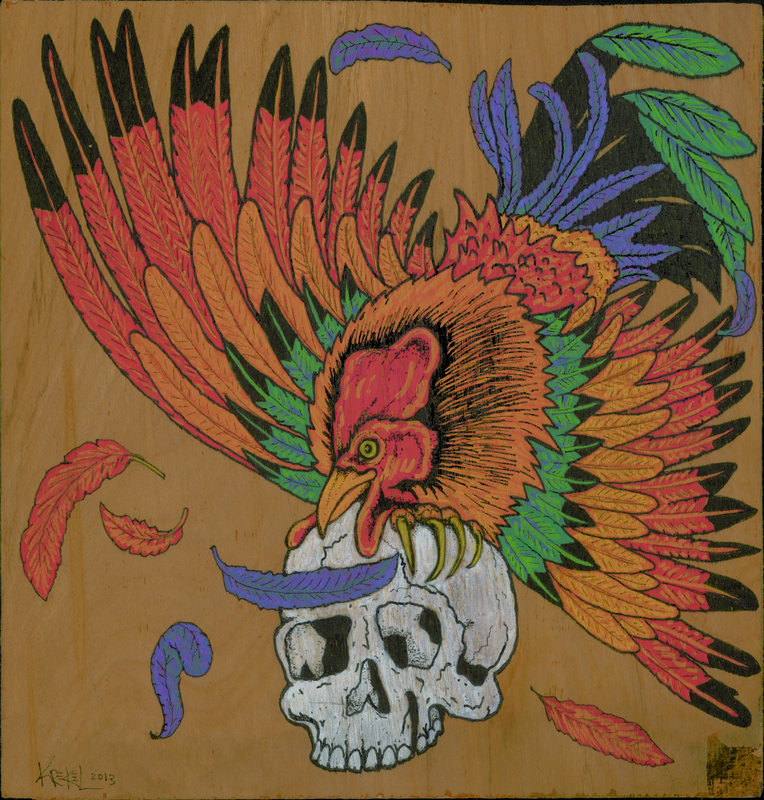 This entry was posted in Uncategorized and tagged Asheville, folk art, good folk, hot rod, lowbrow, mexico, monster art, painting, rooster, scull, The Big Crafty by Jason Krekel. Bookmark the permalink.